Monday, April 15 at 10:30am join us at the Frank Fischer Senior Center in Lake Delton for our book discussion on Wonder by R.J. Palacio. 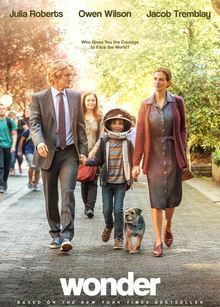 We will be showing our Monday Matinee Wonder, based on the book, at 12:30pm. Popcorn will be served.